Like a U.S. goal against Belgium in the World Cup, I get one right every once in a while, having Justin Rose at #4 in my Power Rankings for the Quicken Loans National. Not unlike Belgium, however, Rose was widely considered a strong contender for victory last week, so his inclusion wasn't exactly the stuff of high science and fantastical prognostication. Having 4 of the 7 players that placed fifth or better isn't too bad either. Here's hoping I don't run out of steam this week like a U.S. fullback and wind up in the Losers section of my Movers and Losers. 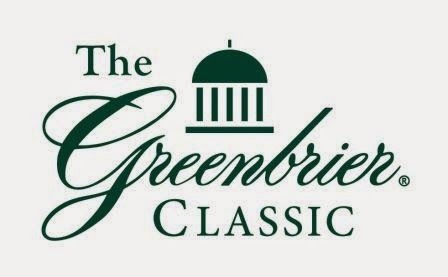 The Greenbrier plays at The Old White TPC at 7,287 yards at par 70 in West Virginia. In this week's edition of the Power Rankings, and those going forward, I'll be listing the Top-15 with their Total Aggregate (TA), a number that combines recent performance with course history and some select other metrics, and the change (CHG) from the last tournament they participated in. Total Aggregate is out of 100, with a lower number indicating a better ranking, as described in Movers and Losers. Brendon Todd - TA: 7.2, CHG: +19 - Easily the hottest player on TOUR right now. A win, two Top-5s, a Top-10, and a Top-20 in his last five starts. No course history, but it simply doesn't matter, until he proves otherwise, he remains a must start. Steve Stricker - TA: 15.5, CHG: -3.83 - Despite his reduced schedule, Stricker continues to be as reliable as your dad's old truck. A Top-10, Top-15, and Top-25 in his last three starts matches up with a T22 here in 2012. Bill Haas - TA: 23.5, CHG: +2.8 - Somewhat lackluster T30 last week given his defending status and clear penchant for Congressional CC. Still playing well enough to justify his spot, with a Top-10, Top-25, and two Top-30s in his last five starts. T9 and T33 in his last two starts at the Greenbrier. Chris Kirk - TA: 27.25, CHG: -2.55 - Quietly one of the most consistent players this year, he just always seems to find a way to be near the top of leaderboard. Two Top-30s, two Top-15s, and a Top-5 in his last five starts. The only thing keeping him from the top slot is a red-hot Brendon Todd and a lackluster history at this tournament. Marc Leishman - TA: 27.75, CHG: +3 - Top-5, Top-10, top-15, and two Top-25s. In six starts. How he hasn't walked away with a trophy in the last couple of months is beyond me, but, like Kirk, he's got poor history here but is playing too well to ignore. Brendon de Jonge - TA: 28.41, CHG: +4.2 - I think de Jonge has been on every Power Ranking I've written so far, and for good reason. He still represents good value in most salary leagues, and he's been playing solid, if not exciting golf, since The Players. Four Top-30s and a Top-10 in his last 6 starts and a T17 in his last start here. Tim Wilkinson - TA: 29.4, CHG: +15.2 - Wilkinson has collected a Top-20 and two Top-25s since missing the cut at the Wells Fargo. While he hasn't exactly been lighting up the leaderboard, he's been solid enough to be an excellent value in salary leagues and a perfect sleeper pick in daily leagues. Kevin Na - TA: 31.91, CHG: +5.5 - Normally, Na would be somewhat closer to a sleeper pick, but his play this season includes two second place finishes, including one just as recently as The Memorial. He followed that up with a T12 at the U.S. Open. His course history is strong with a T7 and T33 in his last two starts at the Greenbrier. Daniel Summerhays - TA: 32.33, CHG: +1.85 - Like Wilkinson, Summerhays hasn't been lighting the scoreboards on fire, but consistency, especially when picking lower value players in salary leagues, counts for a lot. With a Top-25 and two Top-30s and a made-cut streak that goes back to the first week of April, he's as solid bet. A T7 in his only start here doesn't hurt either. Chad Campbell - TA: 34.4, CHG: +8.58 - Campbell makes another solid value in salary leagues, but like some of the other names here, is riding an extended made-cut streak that includes some solid finishes that include a Top-10 and Top-30 since The Players. T41 in his only appearance at The Old White. Jimmy Walker - TA: 35.5, CHG: +5.85 - I'll end the confusion up front. Yes, he finished second last year, and T4 in 2011 and 2010. But a missed cut in 2012 hurts his Aggregate. Just how it works folks, but it doesn't change whether or not you should start him, because you definitely should. Three Top-10s since missing the cut at the Wells Fargo. Ben Martin - TA: 39.33, CHG: +6.05 - If his third place finish last week wasn't emphatic enough, he's got a Top-15 and Top-25 as well in his last four tournaments. Missed the cut in his only effort here, but there's no escaping how well he's playing right now. Webb Simpson - TA: 40, CHG: +3.3 - The Players seems to mark the end of a significant mid-season slump for Simpson. While he hasn't been as hot as he was to start the year, he's got a third place finish, a Top-25, and a Top-30 since faltering at TPC Sawgrass. T41 and T7 in his last two starts here. Keegan Bradley - TA: 40.92, CHG: 0 - The biggest question mark with Bradley this season is whether or not he'll post a big number during the tournament. If he doesn't, a T4 like at the U.S. Open can be expected. If he does, expect a missed cut like last week. T43 and T46 in his last two starts here, he's somewhat of a gamble. George McNeill - TA: 41.75, CHG: +14 - McNeill has been playing solid golf this year, evidenced by the fact that he has more Top-10s this year than Top-25s last year. He's got a Top-15, Top-25, and two Top-30s in his last six starts. Tied for 17th here last year.